Yua: Henri Matisse and the Inner Arctic Spirit explores the surprising and little-known story of how Inuit people and culture inspired one of the 20th century’s most influential artists, Henri Matisse. 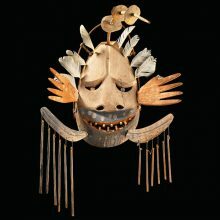 Included in the exhibition are works by Matisse that have not been publicly shown in the United States, and reunited dozens of stunning Yup’ik (Alaskan Natives) mask sets that have been separated for more than a century. Yua: Henri Matisse and the Inner Arctic Spirit features original artwork by Henri Matisse, Yup’ik masks, cultural objects, photographs, film, and ephemera, and explores the shared creative impulses that transcend time and culture by examining the unexpected connection between the Great Master and the people of the Arctic. Matisse is celebrated for his sensuous approach to color and composition. Largely unknown to the general public, however, are his striking black-and-white portraits of Inuit people that were inspired, in part, by a group of Yup’ik (Alaskan Natives) masks collected by his son-in-law Georges Duthuit. Central Yup’ik, Napaskiaq Village, Kuskokwim River, Alaska. 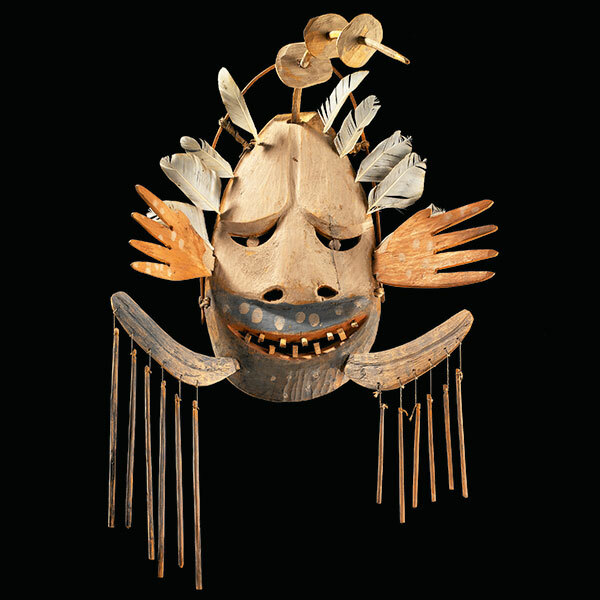 Wanelnguq dance mask c. 1900. Wood, feathers, pigment. Collection of the National Museum of the American Indian, Smithsonian Institution, 9/3432. Photo by NMAI Photo Services.